No fruit says end-of-summer to me quite like a perfectly ripe, juicy peach. It evokes blazing-hot afternoons spent at the lake, or trying to keep cool in the air con. They definitely rank in the top 5 of my favorite fruits. Their flavor, sweetness, and texture are superb. The fuzzy skin sometimes gets on my nerves, but it’s all good. Peaches can start to come in season as early as May, but they are at their peak in July and August. They can still be acceptable into September. Peaches contain many vitamins and minerals, including Vitamin C, Vitamin A, Iron, Potassium, Copper, Manganese, and antioxidants (Source). Just remember, peaches are quite high in sugar, which can spike your blood sugar. Make sure to consume peaches with plenty of healthy fat to stabilize your blood sugar (Source). Most of the time, peaches are a little under ripe when you get them from the store. I like to place them on my counter with about 1/2″ of space in between each one (this helps prevent molding). 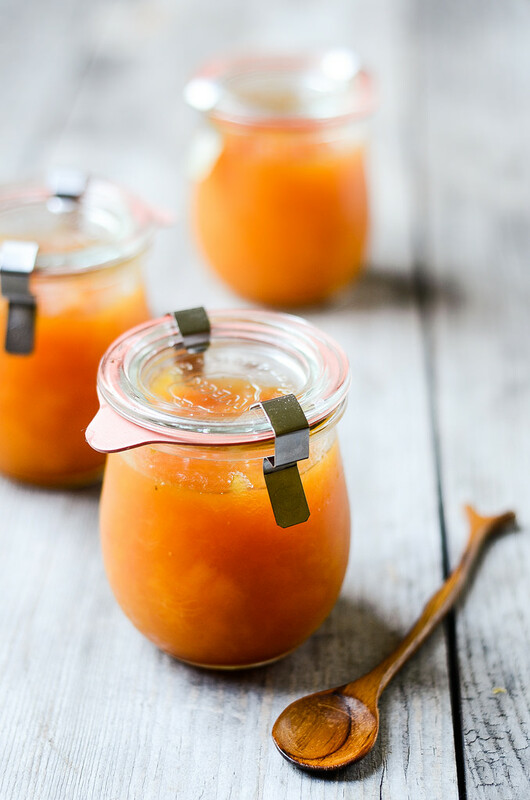 Once they’re soft and ripe, consume immediately, store in the fridge for a few days, or freeze for long-term storage. Now, I love peaches with just heavy cream. It’s the best way to eat them, IMO. But they are also delicious in recipes. It’s super easy guys. If you’ve never made jam before, this could be the recipe to ease you into it! 5-Minute Peach Frozen Yogurt from Just a Taste. I would use full-fat yogurt and honey. Peach Buttermilk Ice Cream from The View From Great Island. I would use honey or maple syrup (and reduce to 1/3 cup) and leave out the peach extract. Ginger-Honey Iced Tea from Will Cook for Smiles. Grain-Free Nut-Free Peach Cobbler from Balanced Bites. Peach, Feta, and Blackberry Salad from Chef Savvy. I would use maple syrup and avocado oil in the dressing, and use soaked walnuts. Peach and Prosciutto Salad from The Gourmet Gourmand. Bacon Wrapped Grilled Peaches with Balsamic Glaze from Foodie Crush. Balsamic Peach Chicken Skillet from Cooking Classy. Peach Caprese Stacks from The Cookie Rookie (I would leave out the bourbon and sugar). 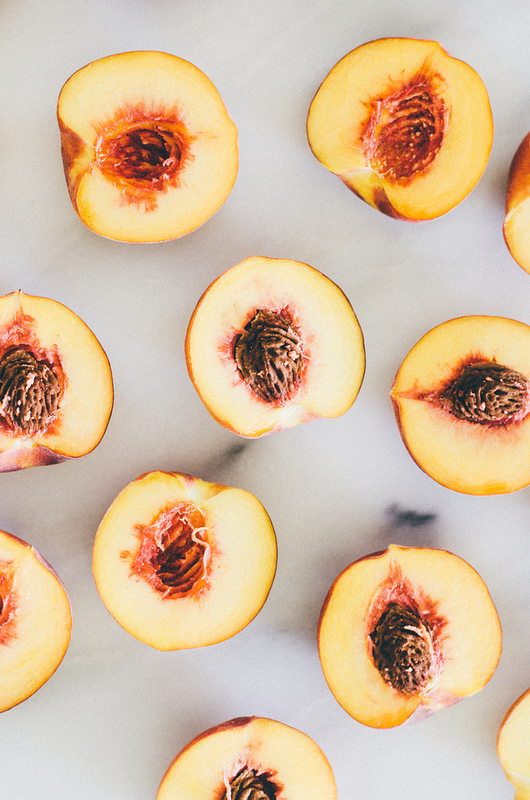 What’s YOUR favorite way to eat peaches? I just minced up a large peach and added it to bar-b-que sauce in my crockpot with chicken. Am still amazed at how savory it was – a real keeper!